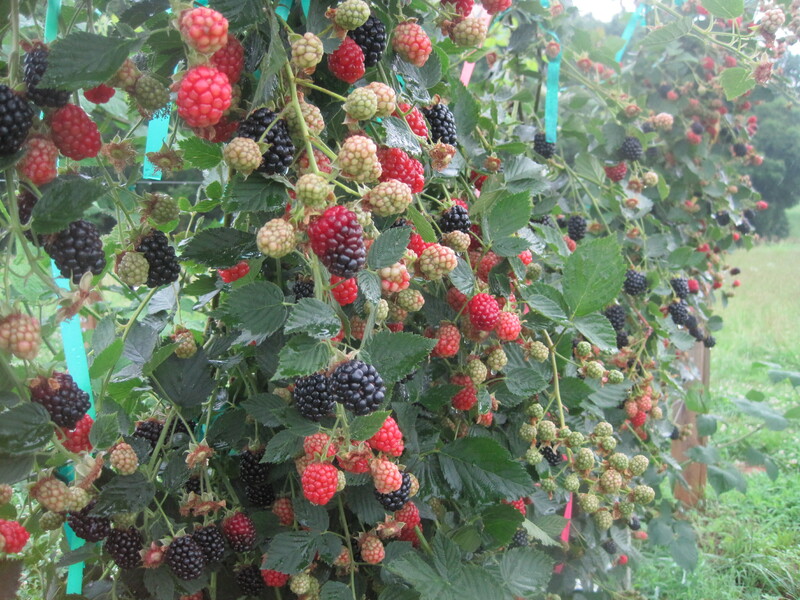 2016 Southeast Regional Caneberry Production Guide is Now Available! In collaboration with David Lockwood at the University of Tennessee, Elena Garcia at the University of Arkansas and Gina Fernandez, NC State University/N.C. Cooperative Extension Service (NCCES), and the Southern Region Small Fruit Consortium, we are pleased to announce that the 2016 Southeast Regional Caneberry Production Guide is now available. 1. An online version that includes links to videos http://content.ces.ncsu.edu/southeast-regional-caneberry-production-guide. This is the first NCCES numbered publication to include videos! There is also a PDF version in 2 formats. Both are 44 pages long and include all the text, color images and figures that the online version has but no videos. 2. The PDF version that is a smaller file size (3.2 MB) is available at end of the link above (lower quality but really not bad). 3. A high quality PDF version (12 MB) is available on request.